There have been more than a few things written about sniggling in its various guises. I’ll note a bunch of them here and trust you to search out more based on your own interests. The late renegade William S. Burroughs laid out a case for the sniggle in his nonlinear essays The Electronic Revolution and My Mother and I Would Like to Know. I add my own two cents on the subject in this Interview. Stephen Downes gives a good overview of modern theories of guerrilla information warfare in his essay Hacking Memes. Sven Woodside reminds us that every joke is a tiny revolution in his Master’s Thesis of the same name which covers the role of humor in culture jamming, subvertising and billboard liberation. Saint Mary’s College of California even offers a class in Pranks: Culture jamming as social activism. “A Soy Bomb is a spontaneous act of individuality that disrupts the flow of Corporate Cheese. 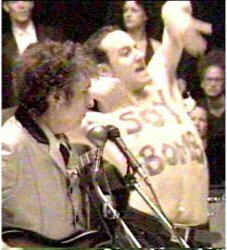 Soy in Spanish means ‘I Am,’ and a ‘Soy Bomb’ is an Explosion of SELF amidst a sea of cheese.” This according to the manifesto of the Soy Bomb Nation, which erupted after Michael Portnoy’s performance at the 1998 Grammys. Other creative activists might get inspiration from Ozymandias’ Sabotage Handbook or the Encyclopedia of Direct Action or The CIA Sabotage Manual. 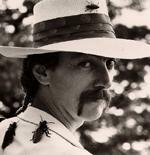 George Hayduke’s classic manual of revenge, Getting Even: The Complete Book of Dirty Tricks, is now available free-of-charge on-line. Learn how to make trouble and influence people from (of all people) the Australian Broadcasting Corporation. Meanwhile, the folks from The Economist do their own analysis of what makes a jape great. The Broken Terminal BBS has assembled a set of tools and information useful to snigglers (TAWSFI). The U.S. government has done its own research into subversion of this kind, and has published its findings in such frightening tomes as Psychological Operations in Guerrilla Warfare. This is matched by Carlos Marighella, a Brazilian revolutionary who created The Minimanual of the Urban Guerrilla. Opportunities for a more-or-less captive audience for soul-satisfying pranksterism happen every time you’re called up by some minimum-wage telemarketer who wants to sell you something. Don’t waste your opportunity! Mark Dery also conducted an engaging interview with Critical Art Ensemble, which ensemble brought us such manifesti as The Electronic Disturbance and Electronic Civil Disobedience and Other Unpopular Ideas. [N]ot only are mass media images intrusive into nearly every second of people’s waking lives but… increasingly, these images are penetrating into the most intimate recesses of people’s inner lives, their fantasy realms of desire and fear. We need to recognize that media images, increasingly, are sales pitches; that, rather than merely depicting or entertaining, they are instrumental in the sense that they are designed to gather audiences, designed to motivate certain kinds of behavior. So not only is our culture a pervasive media culture but… a media culture which has at its heart ideas of behavior modification and I would say, to some extent, social control…. Culture jammers draw upon the given facts of our society, this cacophony of fragmentary media images, to describe things as they are. But I think that at the heart of their reassemblings is the hope that there could be another kind of world, a world where rather than incoherence there could be coherence, rather than a devaluation of the human in favor of the commodity there could be an understanding of the commodity in the service of the human. Andrew Boyd discusses the theory behind the political performance art “Billionaires for Bush (or Gore)” in his essay Truth is a Virus. He’s started to run workshops, a sort of Culture Jamming 101, to teach people how to apply these techniques. The Yippies, American snigglers from the late 1960s and early 70s, were pioneers of modern guerilla theatre — and Abbie Hoffman’s textbook of underground living and warfare, Steal This Book is a classic textbook. I tried handing out copies of a Yippie pamphlet by the name of The School Stoppers’ Textbook to some schoolkids in my town, hoping that it would inspire the prisoners of the public schools to acts of rebellion appropriate to the circumstance. I was met by five people with badges who informed me that the First Amendment did not apply to this particular piece of writing. I was held in prison with bail set at $40,000 and eventually convicted for (I kid you not) nothing more than handing out leaflets on a public sidewalk. So the people who publish this text on-line at places like here, here, here, here, here, here, here, here, here, here, here, here, here, here, here, here, here, here, here, here, here, here, here, here, here, here, here, here, here, here, here, here, here, here, here, here, here, here, here, here, here, and here are in danger of persecution if any California student clicks their way to the page. Helpful tips on pranking Talk Radio are available on-line, and those of you Kommunikationsguerillas with some fluency in German will definitely want to take a look at the Guerjia Culturale site. A visit to the Adbusters Culture Jammer’s Headquarters will get you their toolbox of resources for those engaging in such naughty anti-consumerist behavior. 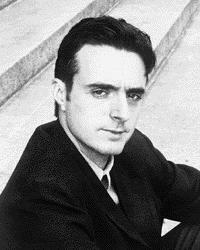 The magician’s art involves a professional interest in the same sort of manipulation of attention and belief that snigglers also use in their pranks. Read Vincent Gaddis’s The Art of Honest Deception for an overview. “Culture jamming will become to our era what civil rights was to the 60s,” says writhe. Here’s an interview with Alex Boese, the curator of The Museum of Hoaxes. Don’t forget your Credibility Props! Are you as skeptical as I am about the effectiveness of advertising parody? Anne Elizabeth-Moore is, and tells us why, in Live by Their Tools, Die by Their Tools: The Political Limitations of Culture Jamming. Justice or revenge? Some of the more pointed examples of sniggling use the techniques of vengeance found at The Avenger’s Front Page. Some tidbits of theory and case study can be found in A Capsule History of the Dutch Provos by Teun Voeten.